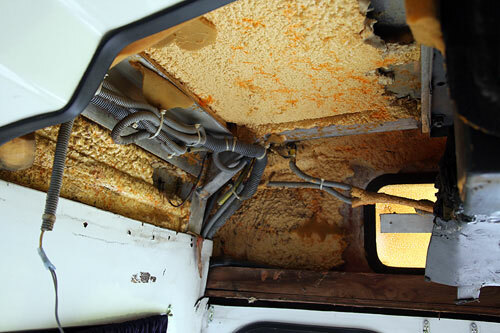 With the rear fiberglass cover removed, the rear air conditioning unit is visible, and dirty from lack of use. 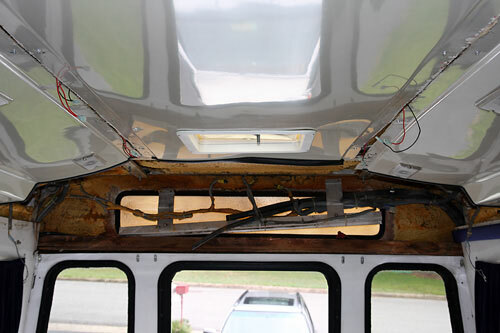 The right upper rear corner shows the insulation and wiring harness for the many components in the back of the AMOV. 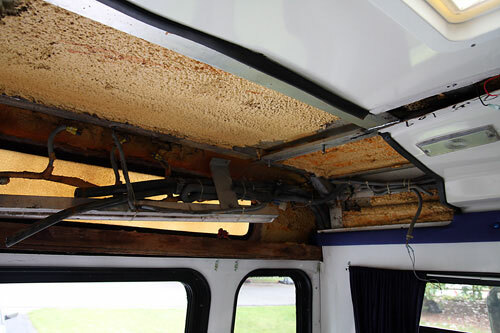 Once the A/C unit is removed, the rear fluorescent light fixture is visible, and ready for removal. 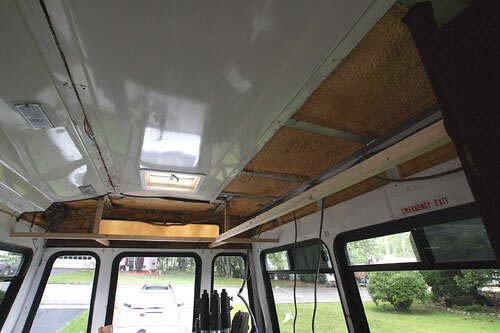 The rear area without the A/C unit. 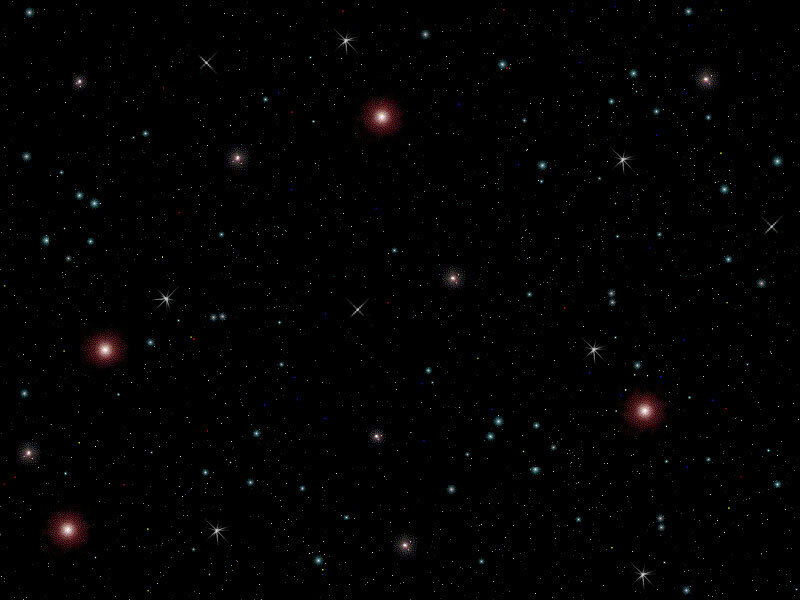 Lots of room. This is the massive rear A/C unit. It was time for it to go, as the cost of repairing it was too much to consider. 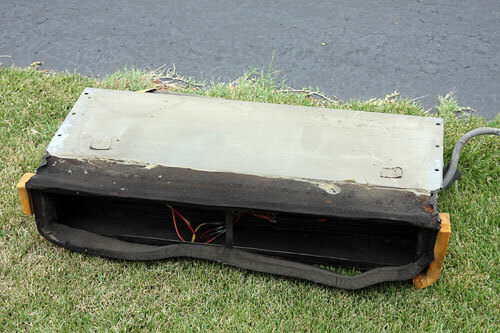 The fiberglass rear A/C cover. No longer needed, and will be stripped of useful parts. The main bracing for the rear overhead cabinets starts to go in. 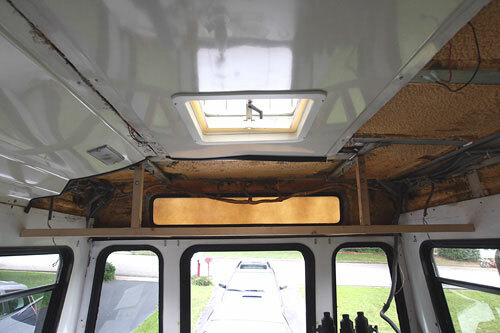 The overhead cabinets will go across the back, and then up the drivers side, above the couch. 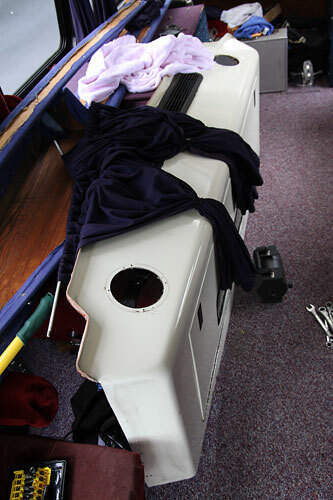 Here is the main cabinet, pulled out 3 inches to match the layout of the rear overhead cabinets. 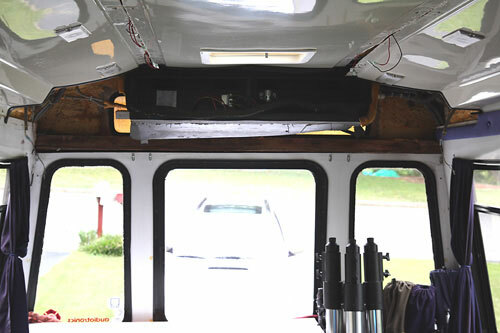 Here is a view from the front, showing the new overhead cabinets running back from the main cabinet, and then across the rear of the vehicle. 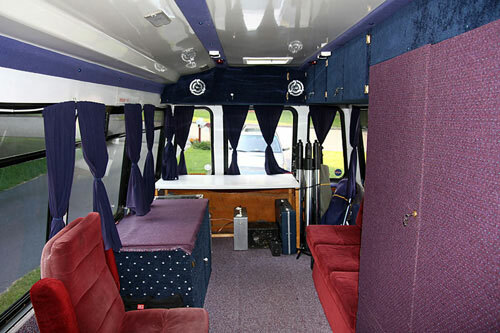 The cabinets had to be modified for the sound system speakers, as well as the current overhead lighting. 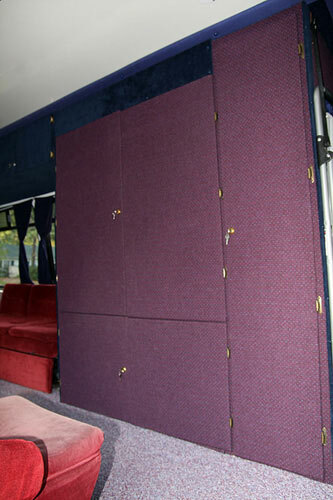 This is the drivers side, rear corner. 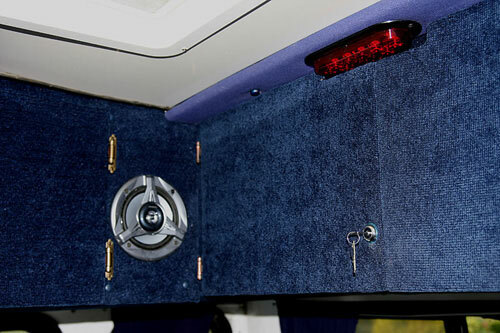 This is the passenger side rear corner. 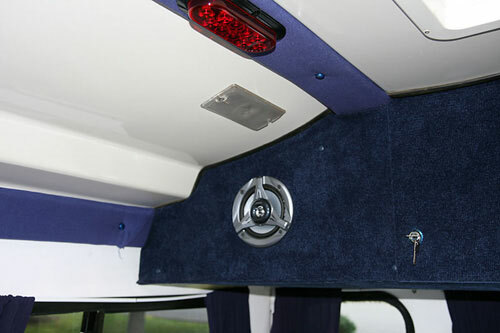 Again, the rear speakers had to be mounted.